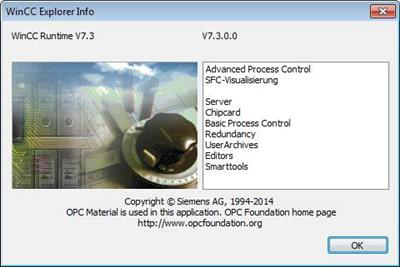 SIMATIC WinCC is a scalable process visualization system with powerful functions for monitoring automated processes. WinCC provides all the functionality of SCADA for Windows for all industries - from single user to distributed multi-user systems with redundant servers and global solutions with web-clients. In particular, WinCC is characterized by absolute openness. It can easily be used in combination with standard and user programs that allows you to create human-machine interfaces that exactly match the practical requirements. Open interfaces, system integrators who develop software that can create their own applications using WinCC as a basis for system extensions. WinCC - a modern system with intuitive user interface. It is suitable for use both in the office and on the production of functionally complete and reliable in operation, effectively designed and adapts easily to solve both simple and complex tasks.